Welcome to Athens! We’re glad you’re here. Find out what Athens has to offer. The AACC hosts a variety of events each month to support local business. Visit the calendar to find out what is coming up next. 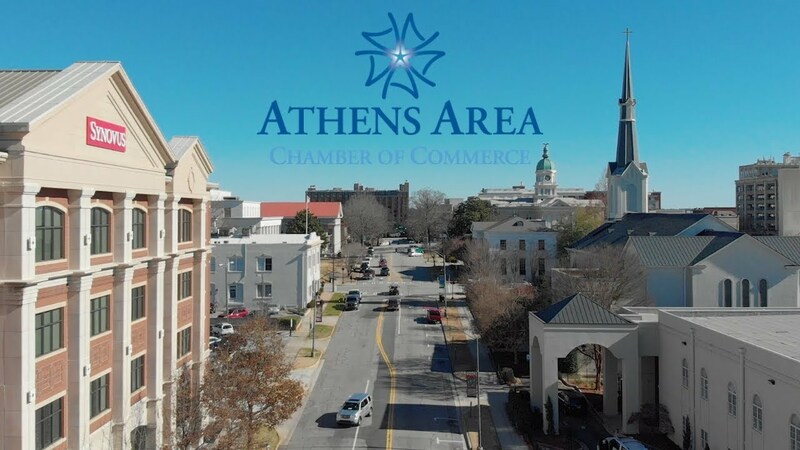 Why join the Athens Area Chamber of Commerce? Since 1904, we have served our members and the community by fostering relationships and strengthening the ties that have secured Athens’ position as the hub of northeast Georgia. Today 246 West Hancock Avenue serves as a “one-stop shop” for business in Athens by housing not only the Chamber of Commerce but also the Clarke County Mentor Program, the Department of Economic Development of Athens-Clarke County, Industrial Development Authority and Athens Cultural Affairs Commission. Under the leadership of mayor Kelly Girtz, the Chamber has realized its vision of being the regional leader on issues vital to a thriving business community. Want to keep up with the latest news from the Chamber? Sign up for our newsletter!